Muslim (Sunni majority and Alevi minority) majority with small minorities of Eastern Rite Christians, Jews, Agnostics, and Atheists. The exchange slips for the conversion of foreign currency into Turkish lira should be kept, since you may be required to show these when reconverting your Turkish lira back into foreign currency, and when taking souvenirs out of the country (to prove that they have been purchased with legally exchanged foreign currency). All passengers require a passport that is valid for six months beyond the conclusion of their trip, with the appropriate visas. In 2009, U.S. citizens are charged US$20.00 to purchase a multiple entry visa for Turkey at the airport before they go to passport control. No paperwork or passport photos are necessary, and this visa stamp is good for three months from the date of purchase. You should carry a color copy of the ID page of your passport with you at all times. You may leave your passport in the room or hotel safe, or locked in your suitcase. Certain hotels will hold your passport overnight in order to comply with local regulations. 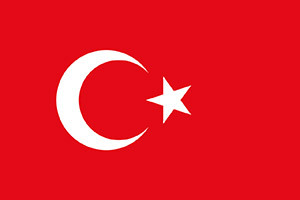 A visa is required for all U.S. citizens entering Turkey. U.S. citizens may obtain their visas upon entry point in Turkey or in advance from one of the Turkish Consulates around the U.S. Application for a business visa must be done ahead of time, before entering Turkey. The tourist visa is valid for a year starting from the issue date. There are two different visa types. With a single entry visa, you can enter Turkey only once and stay up to three months. Multiple entry visa, allows you to enter and exit the country more than once within one year period specified on your passport and you can stay in Turkey for three months each time. Visas given at entry points are valid only for three months. Passengers who do not leave the international airports (transit) do not need any visas. Non-U.S Citizens need to have to apply for their tourist or business visas in advance BEFORE going to Turkey. Applicants should directly contact a Turkish Consulate in person, by mail or by a courier service. Note: Please remember Classic Holidays and/or their employees are not responsible for passport, health or other requirements of the countries visited or for any loss incurred by you for failing to comply with the laws and regulations of countries visited. At various establishments like hotels, restaurants, Turkish baths, barbers and hairdressers, tipping at a rate of 5%-15% of the total is common. Taxi and “dolmus” drivers on the other hand, do not expect tips or even rounded fares. Do not travel without comprehensive medical insurance (including cover for medical repatriation), as private medical treatment is very expensive. You should check any exclusions, and that your policy covers you for the activities you want to undertake. The European Health Insurance Card (EHIC), which concerns free medical treatment in EU countries, is not valid in Turkey. Comfortable shoes are necessary for visiting archaeological and historical sites. Sun hats and sunglasses are advisable in the summer. Headcarves should be brought by women for visiting mosques. Warm summers, mild winters, relatively high rainfall. Climate with hot, dry summers and cold winters. Long snowy cold winters with mild summers. Hot summers with mild rainy winters. Swimming seasons become shorter as you travel north. Marmara and North Aegean -June through September. South Aegean and Mediterranean – April – October. Aghia Sophia Museum, Topkapi Palace, Blue Mosque, Dolmabahce Palace, ancient city of Troy, Ephesus, Aphrodisias, Pergamon, Pamukkale, Goreme – Cappadocia, Mt. Nemrut, Safranbolu. Copyright 2015 Classic Holidays. All Rights Reserved.